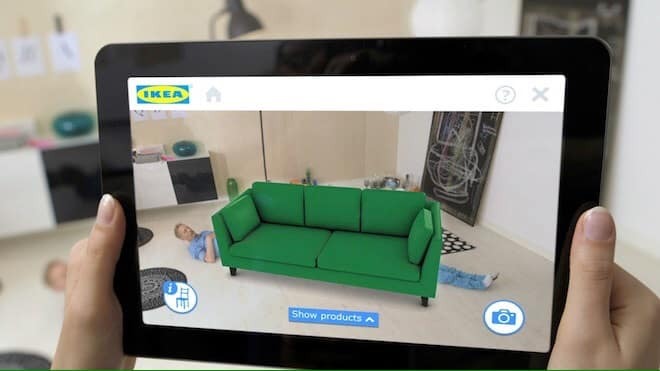 Ikea has released its own AR app to help customers visualize what their furniture might look like in their own living rooms, or street, or elevators. The point is, you no longer have to argue with your significant other inside the Swedish furniture conglomerate. Now you can destroy your relationship anywhere! All joking aside, the app is super fun to play around with. It’s designed so you can easily swipe through its most popular collections, or filter by types of products like “Baby & Children,” or “chairs and desks.” There’s no search function yet, which could come in handy when rifling through the 2,000 products currently listed in the app. You can also tap the item name to go straight to the product listing on the website.